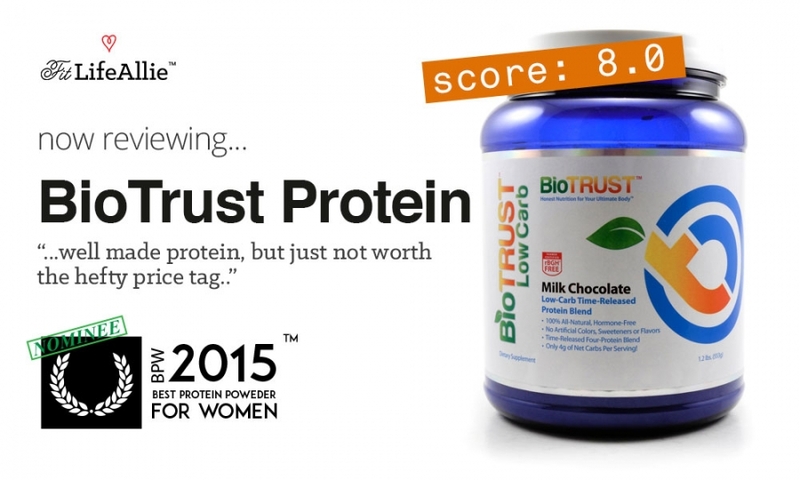 BioTrust Protein Review: Well Made, But Not Worth It. BioTrust Protein Reviews are easy enough to find, but you have found the only review that matters, and that’s obviously mine. Why is that? Because I’ve reviewed more protein powders than anybody out there. That’s why! And so in this Biotrust review I’ll do what I DO BEST. And that’s tell you, with my extremely analytical taste buds, whether or not Biotrust Low Carb Protein TASTES good. I’ll tell you the BEST FLAVOR or BioTrust Protein. I’ll tell you about the ingredients and if they are the sort of ingredients you WANT in your body (some of these protein companies are shady!). And finally I’ll critique the Biotrust protein packaging, because that’s just fun for me. So let’s launch right into today’s BioTrust Low Carb protein review. Biotrust crops up from time to time in my site search logs (that’s all the data from that handy search bar you see up on the top of by the main menu where you can search for, and likely find, my review of almost every supplement that matters). The term ‘BioTrust’ comes up a TON, which originally drove me to give you guys my first BioTrust review- and that was on their fat loss product ‘LeptiBurn’, a sort of ‘entry-level’ fat burner, in my opinion. But good enough to where I was okay spending more money on BioTrust Protein. And spend money I did. Alot of it to get my hands on all five flavors of BioTrust Low Carb Protein. Let me discuss those flavors first. What’s the Best Flavor of BioTrust Low Carb Protein? Strawberry Banana: Sounds strange, I know, but this was my favorite flavor of the BioTrust protein powder. I thought the banana flavor comes on more strongly than the strawberry, so probably they could call it ‘banana strawberry’, but both flavors are prominent and deliciously intertwined in a fruity, sweet, lovely flavor. Cafe Mocha: The second best BioTrust protein flavor is this tasty cafe mocha. It’s a little bit salty and more savory than the fruit flavors, as you would expect, but it is a unique and distinctive flavor that actually stays true to a coffee and chocolate palette. It’s a little bitter, but has enough sweetness to balance it out. It’s quite good. Chocolate Peanut Butter: The bronze medal winner, and third best BioTrust flavor is the classic chocolate Peanut Butter. I found this flavor to have just the right amount of nutty-ness to go alongside the chocolate, which makes it very drinkable. You’ll enjoy this BioTrust low carb protein flavor time and time again. Vanilla Cream: Biotrust did just OK on their vanilla flavor. It’s drinkable. Don’t get me wrong. But there isn’t quite the amount of sweet creaminess that I like in my vanillas. In fact all of my top ten proteins would beat out BioTrust when it comes to the vanilla. They did drop the ball to some degree here on this flavor. Peach Mango: I didn’t quite like this fruity flavor as much as my favorite strawberry banana, because the peach flavor seemed to overpower me here in this flavor. I had to grade it last because the peach is just too strong in my opinion. The overall flavor grade for Biotrust protein is an even B plus. It’s an 88 out of 100 because I really thought there is a great degree of consistency among all flavors. The range from top to bottom is quite small, which I like. It means you can really enjoy trying all flavors of BioTrust. Let’s talk formulation now. The ingredients are the main marketing point behind this protein powder. They really try to be the responsible protein company. And they’ve done a pretty good job. They walk the line between being ‘super clean’ and minimalist (like that John’s Killer Protein that I just reviewed), and being scientifically advanced, like, hm, something like Trutein. and then the erythritol, which I don’t like because it makes my stomach feel like crap. So overall I will give this protein an 8. The proteins are of high quality, but the combination of those two things I don’t like, sort of put a damper on an otherwise fantastic formulation. Let’s wrap up with a BioTrust packaging grade. BioTrust Low Carb Protein Looks Pretty Good. BioTrust branding and packaging is quite distinctive. They use a translucent blue jar, wrapped in a pretty neat white label, covered in tasteful blue, green, and orange graded graphics. The company tries to differentiate on being super ‘legit’ and ‘responsible’ with their products, and I think looking at this protein powder you really do tend to just trust it right off the bat. The graphics are simple, at the risk of being considered a bit dated, which is my main knock on BioTrust packaging. It is a little bit too 1990 for me to really fall in love with. But then again, I did love the 1990s. Lol. Other things that they have done well, is create a crisp hierarchy of information. You start with the big logo ‘BioTrust’, before taking in the flavor, and benefits. The most important mistake they’ve made on their protein packaging is not including the word PROTEIN anywhere prominently. Like. Come on guys. You have to do that. Bigger than just in the subtitle below the flavor. While the BioTrust design as a whole is nicely composed, I think they could freshen up and modernize it a little bit, and also clean up some of those basic mistakes. I’ll give them an 81 out of 100 on packaging.